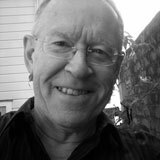 Denis Welch will be the New Zealand writer in residence 2013 at Randell Cottage. The Wellington writer is working on a biography of former New Zealand Prime Minister Norman Kirk. He will move into the cottage in July and live and work there for six months. The residency includes a stipend of $22,000. Each year the Creative NZ Randell Cottage Writers Trust residency in Thorndon, Wellington hosts a French writer in the first half of the year and a New Zealand writer in the second half. Welch says the award is a huge boost for him and for the book he’s working on. Welch, a former deputy editor for the NZ Listener, is a media commentator on Radio NZ National’s Nine to Noon as well as working as a bulletin writer and editor there. Denis has stood twice for Parliament for both the Values and Green Parties, and has published a biography of Helen Clark, and a novel. New Chair of the Randell Cottage Writers Trust, Sarah Dennis, says she’s delighted with the choice of New Zealand writer for 2013. This year was the tenth anniversary of the Randell Cottage Writers Trust which began in 2002, with New Zealand writer Peter Wells, and has been home to twenty-one writers. The twenty-second writer is French novelist Estelle Nollet who arrives in January. She will be followed by Denis Welch. 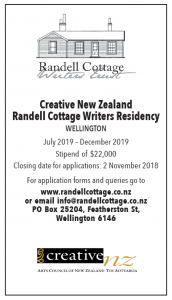 The Randell Cottage Writers Trust is supported by Creative New Zealand, the Embassy of France, Wellington City Council and the New Zealand-France Friendship Fund.